If you’re looking to go on a break this Christmas, Wowcher is doing amazing Christmas getaway deals. Whether you’re looking for something in the UK or you would like to travel around Europe, you can do it all for an affordable price. With this festive package, you can choose from a Christmas or New Year’s getaway. 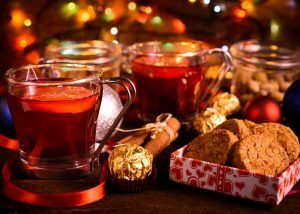 With either option, you will be greeted with mulled wine and mince pies, as well as a four course Christmas eve meal, breakfast and a four-course meal on Christmas day then a breakfast on boxing day, included in the price of the package. The voucher is valid for two people per purchase (perfect for couples looking to have a break this Christmas). You will be staying in Rudloe Arms a beautiful country mansion with 14 acres of landscaped gardens. This 2-4 night Edinburgh Christmas break including flights is perfect if you want to have a festive experience without breaking the budget. You can choose to add the Christmas Experience tour to your package at an extra cost to have a guided tour around the Christmas markets. You will stay in Haymarket Hub Hotel and you can fly out from London Luton, Gatwick, Stansted, Bristol, Belfast, Birmingham, Cardiff and Manchester. If you’re looking to get away for Christmas, the Berlin festive city break is perfect. The city break includes your accommodation and your flights, you will be given a room in either the Ivbergs Premium Hotel, Ivbergs Hotel Berlin Messe or the Art-Hotel Charlottenburger Hof Hotel and you can fly out of London Gatwick, Luton, Stansted, Liverpool, Manchester, Edinburgh, Glasgow, Birmingham or East Midlands. 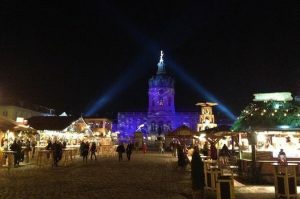 You can also choose to add a guided walking tour around Berlin’s Christmas spots and stop at the Christmas market where you can find mulled wine and gingerbread mento enjoy. With this 2 night Christmas market getaway you can choose from 7 Italian locations: Florence, Milan, Naples, Turin, Rome, Venice or Verona. It includes your flights and you can travel from London Gatwick, Luton, Stansted, Manchester, Edinburgh or Bristol. 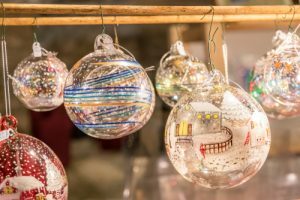 You can visit the Christmas market in the city of your choice to get in the Festive spirit before Christmas! This 2 or 3-night stay in Zurich in Switzerland includes your accommodation at The Flag Zurich and your flights from London Gatwick or Luton. 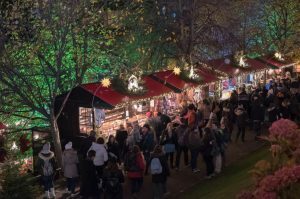 Included in the package you will be able to visit the renowned Christmas market with mulled wine, wooden stalls and beers with everything you could imagine, including gifts to buy for your family or friends back home! 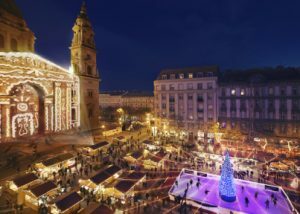 This two night Christmas market stay includes flights and is available for 6 European locations. The locations are Berlin, Budapest, Copenhagen, Krakow, Munich and Sofia. You can travel from London Stansted, Luton and Gatwick, Manchester, Edinburgh, Bristol and Glasgow. You can choose to stay in a twin or double room. 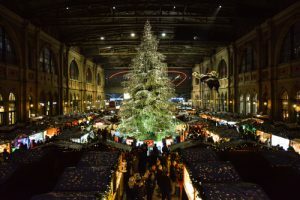 The package also includes breakfast and you can visit the beautiful Christmas markets in all of the cities.